Napier names ULM coach Tim Leger as Wide Receivers and Recruiting Coordinator to Cajun staff. 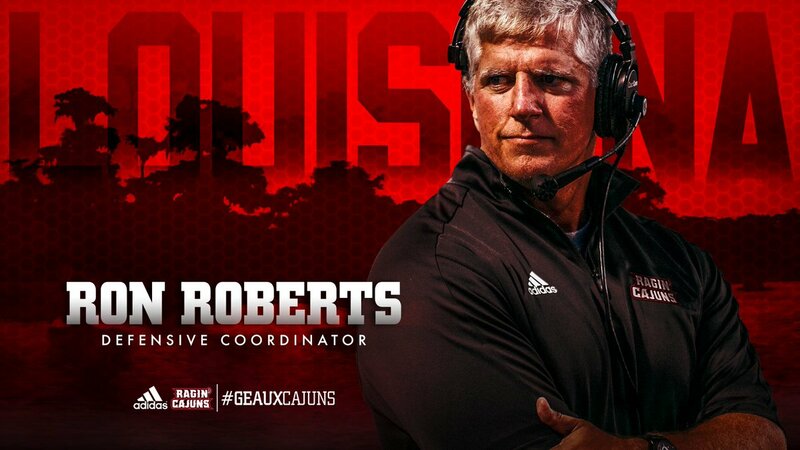 Lafayette native, son Gunner pitches for the Cajuns, and a well-respected coach and recruiter. Still a few holes to fill on the defensive side of the ball though things have been really quiet this week. Napier named Karl Scott from Texas Tech late last week as DC but a DL coach, LB, and DB coaches have not been named. There's still plenty of money on the table and some Cajun fans think things have gone quiet because Napier will hire someone out of Alabama's staff and is waiting for the NC game to be played. I'll believe it when I see it. Here's the announcement on Scott. Louisiana football head coach Billy Napier has announced the hire of Rory Segrest as an Assistant Head Coach on Tuesday. Segrest will work with the defensive line and brings several years of coaching experience at the college and NFL level. "Rory Segrest brings a wealth of experience and character to our staff," Napier said. "He is a technician and proven developer of talent. Having played against his players at Arkansas, I know exactly what we are getting in this hire. His experience in the NFL and SEC will be insightful for our players as well. I'm excited to see his impact both on and off the field. Let's welcome Rory, his wife Jackie and their son James to Lafayette." Segrest spent three seasons as defensive line and specialists coach at Arkansas from 2014-16. Segrest helped the Razorbacks rank second in the Southeastern Conference and 12th nationally in rushing defense (116.46) in 2015. He also helped develop Deatrich Wise into one of the SEC's best pass rushers during the 2015 season. The SEC leader with eight sacks during conference play, Wise tallied 31 tackles, including 10.5 for loss, in 13 games played. He recorded seven sacks over the last four regular-season contests, which paced the SEC and ranked second nationally during that stretch. Rumors are that Matt Butterfield, Ok State TE coach is also interviewing. Lots of P5 experience being added to Napier's staff. Like. LOL, now talk of Saben raiding Napier's staff. Louisiana Lafayette: Source tells FootballScoop with Karl Scott now headed to Alabama (per sources), Billy Napier is considering offering his defensive coordinator position to Louisiana Tech DC Blake Baker. Baker was promoted to defensive coordinator for the 2015 season after Manny Diaz left to go to Mississippi State.